RUSH: Sharyl Attkisson says that what’s going on the FISA court is not new, that it’s actually been going on quite a while, that the FISA court has been weaponized by law enforcement, by political people, primarily the last eight years under Obama. What would happen is that they would go seek a FISA warrant and get it in order to spy on Americans and then unmask them, and that this has been not a law enforcement thing about a political thing. I read that and wasn’t surprised by that. That’s what the Democrat Party is. That’s who Barack Obama was: Weaponizing all of these institutions against their enemies. The Democrats are not using optimism and happy endings. The Democrats preach apocalypse. The Democrats preach the end of the world. The Democrats preach the best days are behind us. The Democrats are totally consumed with negativism and think that this is inspiring people to vote for them. And because they don’t have anything positive to say, their primary weapon is to destroy opposition. And if they can succeed in destroying opposition, it doesn’t matter what they are for or against. There’s nobody else to vote for. There’s not enough of the opposition to get elected anyway. And that’s their objective. And they think they’re gonna win with this. And right in their face, they’re staring at what disproves that, and that’s the election of Donald Trump. Who’s Donald Trump? Whatever else Donald Trump is, he’s a patriot. He loves America. He thinks America is great. He wants to make it great again. And he comes at this from a position of genuineness. It’s not a political idea with him. It’s not part of a marketing strategy or a political strategy designed to get votes. Not 50% who believe the Steele dossier. This is why the conservative media is hated, because if it weren’t for conservative media, nobody would know this! I attended an annual cigar dinner last night at the Old Palm Golf Club. It was sponsored by my old Cigar Aficionado buddy Marvin Shanken. By the way, the guest speaker was Litto Gomez of La Flor Dominicana Double Ligero Chisel. One of his cigars was Cigar of the Year for Cigar Aficionado last year, and he’s from Spain. He was as the invited super guest. He was the featured speaker, and he told a story of his becoming an American, seeking opportunity, living the dream, working hard, not knowing what he wanted to do for much of his life, living under an authoritarian father, finally discovering his calling, and now he’s successful beyond his wildest dreams. And what Litto Gomez said last night about America was what anybody who’s lived here would have said, and you would have never heard it coming out of the mouth of a Democrat. In fact, I told him when it was over. I said, “You better hope word of this doesn’t hit social media. You’re gonna become a racist, bigot, sexist. Social media is gonna tear you up for being positive. You’re supposed to hate America, Litto! You are from Spain. You are an immigrant. You’re supposed to hate this country,” and of course he doesn’t. He loves it, and that was the theme of his talk. I always run into people at these events. There was about 250 at these events, 250 people last night, and I never get one criticism of Trump. Here’s the thing: Without alternative conservative media, this survey could not happen. People who do not listen to conservative media do not know the truth about the memo. They don’t know that Hillary Clinton bought and paid for it. They don’t know who Fusion GPS is. CNN, CBS, ABC, New York Times, Washington Post do not report on any aspect of this. The people that consume news from those outlets have no idea about any of this, and this is why the Drive-Bys are ticked off. If we didn’t exist, if Fox News didn’t exist, then Rasmussen could not produce a poll result like this — and if we didn’t exist, they may have succeeded in running Trump out of town by now. May have. This is why they’re upset with us. This is a stunning result, with everything the Democrats have poured out. Look at what the Drive-By Media has been for the last year and a half: “Trump cheated! Trump this! Trump that! Trump colluded! Russians are in bed with him!” All of this stuff and only 40% in this survey think that any of that is likely true. RUSH: And here’s more polling data from TheHill.com: “Nearly half of Iowa voters said they wouldn’t vote for President Trump in the 2020 election, according to a poll of likely voters released Thursday. The Des Moines Register poll found that 48% of voters said they would ‘definitely’ vote for a candidate besides Trump…” Why is this news? This isn’t news. Half of Iowa probably voted against Trump in 2016. This isn’t news whatsoever. But as I said, when it comes to political preference polls on candidates, what good is a poll down now? I asked a question when I spoke at the National Review Institute gala on Tuesday, ’cause there was some polling news that day that I discussed. I don’t even remember what it is. I asked the audience, “Can you any of you remember what the polling was one year ago today? Can you remember what the polling was in the Summer of 2016? Can you remember what it was?” And nobody could, because it didn’t matter, just like polling now on the 2020 presidential race does not matter, unless you are using the poll to shape public opinion, not reflect it. “One fact emerges from the poll of 900 people conducted from January 25 to February 2: The public doesn’t necessarily buy into the Democratic narrative that the Trump campaign ‘colluded’ with Russia…” Now, folks, the story… This actually goes back to February 5th when it was published. This flies against… The Drive-By Media never reports it. How are these people coming to this conclusion when the mainstream media never reports on any of this? 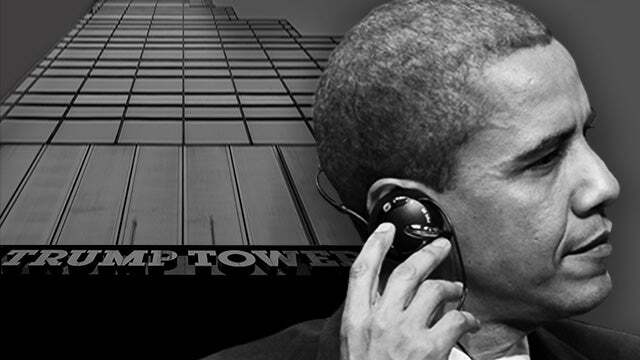 The mainstream media is not detailing the truth about the Steele dossier or any of that, Fusion GPS, and yet a poll has found that a majority think that the Obama White House was spying on the Trump campaign. It has to be because of conservative/alternative media. It’s another reason Drive-Bys despise us. Hugh Hewitt had a series of texts — tweets, I should more properly say — and this has not been reported in the mainstream media, either. Any of you ever heard of the guy named David Laufman, L-a-u-f-m-a-n? You haven’t heard of him, right? (interruption) Well, I will admit that I, El Rushbo, had never heard of him, either. But he resigned. I know many of you are saying, “So?” Well, who was he? David Laufman was the deputy assistant attorney general for national security. He was the primary supervisor over counterintelligence work in national security. David Laufman would have had a hand in the approval of the FISA application of Carter Page. Whenever an application is submitted to the FISA court, there are a lot of people at the FBI and the national security apparatus that review the application and pass muster on it, give it their stamp of approval, which moves it along the process. This guy, David Laufman — deputy assistant attorney general for the national security division — was the primary supervisor over counterintelligence work in the national security wing of the DOJ. He would have had a hand in the approval of the FISA application. He resigned effective immediately yesterday. Maybe Wednesday. The day the Nunes memo hits and the Grassley memo hits. The week we learn that the Steele dossier — a pack of unsubstantiated, uncorroborated lies — was in fact used to secure a FISA warrant, and it was renewed three times to spy on Carter Page (and, incidentally, anybody else Carter Page was talking to) this guy resigns. Now, nobody knows why, but it’s highly suspicious. It’s just another little news story that nobody has seen — it’s not being reported on — that tells a whole lot about what is being uncovered here! The rats are fleeing the ship as the light is turned up bright on what happened. That is how this is being interpreted. Let me grab a quick phone call. This is Mike in Northeastern Pennsylvania. Welcome, sir. Great to have you with us. 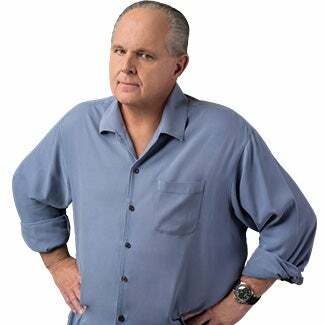 CALLER: Thank you, Rush. Honor. My question is, a while back you reported that the FBI had the capability of puttin’ a fingerprint on break-ins through the internet of other countries. Isn’t it possible that the DNC break-in — which was supposedly by the Russians — that the FBI did that, put their fingerprint of the Russians on there as an insurance policy to go back on and say, “Hey, look, the Russians were trying to break into the DNC so they must be in cahoots with Trump”? RUSH: Well, yeah, either one’s possible. It was the CIA, however, that was uncovered. There was a massive leak — I think WikiLeaks was in the middle of this — and it was learned that the CIA has software programs (we’ll call them “bots”) that can hack and survival computer networks, computer hard drives, and these bots can leave fingerprints of any nation the CIA wants. So if the CIA wants to hack the DNC and make it look like the Russians did it, they can do it! This was a massive leak. It was a massive problem for the CIA, because it was a series of software programs they have for this express purpose that was uncovered and discovered. So now, yeah, if they wanted to surveil the DNC computer and make it look like the Russians did it, they could. And if they wanted to surveil… Say they wanted to surveil North Korea or the Japanese or the ChiComs or Russia and make it look like the Trump campaign did it, they could do that. (chuckling) Yes. That’s exactly right. Now, whether any of that happened, we don’t know. But certainly they had the ability, and they didn’t want anybody knowing they had that ability. 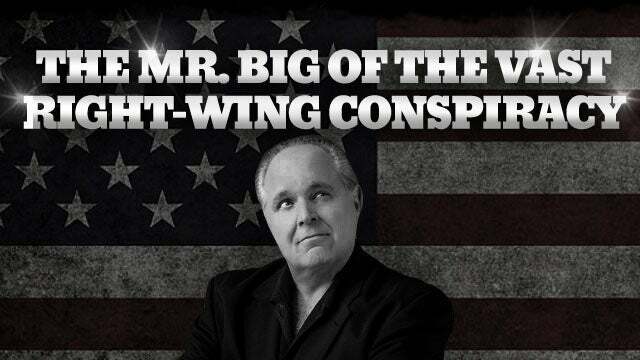 RUSH: By the way, another resignation. “The longtime head of public affairs at the FBI — who was a confidant of former director James Comey — is planning to retire… A notice went out this week for a retirement get-together for Michael Kortan scheduled for February 15. Since 2009, Kortan has served as assistant director for public affairs, an influential job that controlled media access.” Folks, they’re dropping away here rapidly at the FBI, DOJ. They’re under the radar. Not a whole lot of people are noticing or seeing any of this.